For St. Patricks day I decided to make brownies with Guinness beer. To me that would be very Irish, Guinness beer I mean. Certainly not the green stuff everyone is drinking. 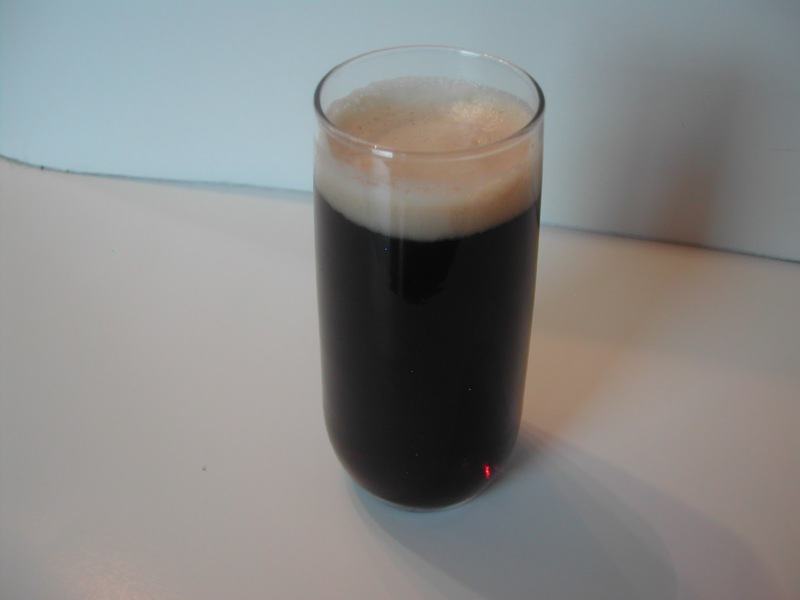 I had extra Guinness from the brownies and picked up some Harp Lager and decided to make a Black and Tan. I am not sure where the recipe came from. I had my first Black and Tan in North Carolina on vacation. I watched them make it and thought it would be cool to recreate. If you get a chance to try this you really should. You should have a bit of Guinness left over from the brownies. I think it would taste much better than green beer. Don’t you? Pour Harp Lager into a glass about half way. Using a spoon pour the Guinness over the top. 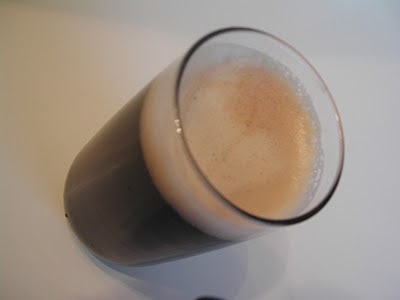 The idea is to have the Guinness float on the top. Can you tell the top is much darker than the bottom? So this is how I made my Guinness brownies. Melt butter, bittersweet chocolate, and white chocolate chips in a double-boiler over very low heat, stirring constantly until melted, or microwave like I did. I did it in increments of 1 minute until it was smooth. . Beat reserved flour mixture into melted chocolate mixture. Whisk in Guinness stout beer. The batter will seem a bit thin. Drop semisweet chocolate chips in batter. (Some may sink in) I added a bit of flour to the chocolate chips to help keep them from sinking. I got this trick from the Barefoot Contessa. 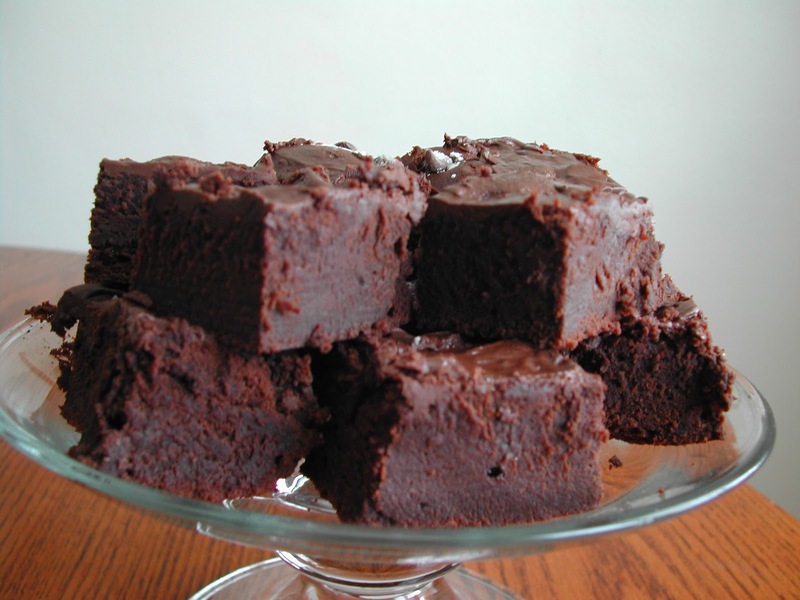 Guinness brownies – yum!! 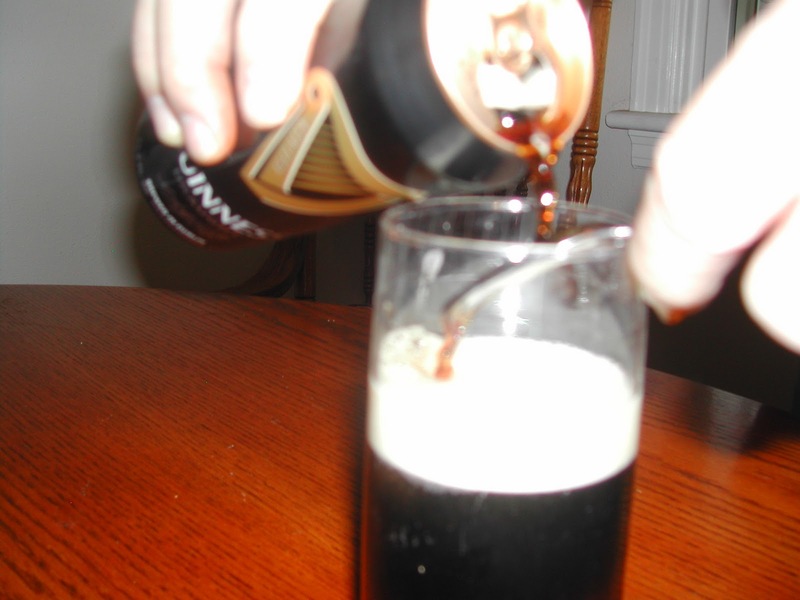 Great idea and I don’t mind a black and tan now and then…lol. OMG – AWESOME idea! How about some homemade Irish Cream whipped cream on the side and a drizzle of creme de menthe. It’s like the easy version of the Irish Car Bomb Cupcakes everyone is making. Exactly! I love the car bombs everyone is making!